Kyger Dental Associates, Inc., represented in the photo by Heather Angel. 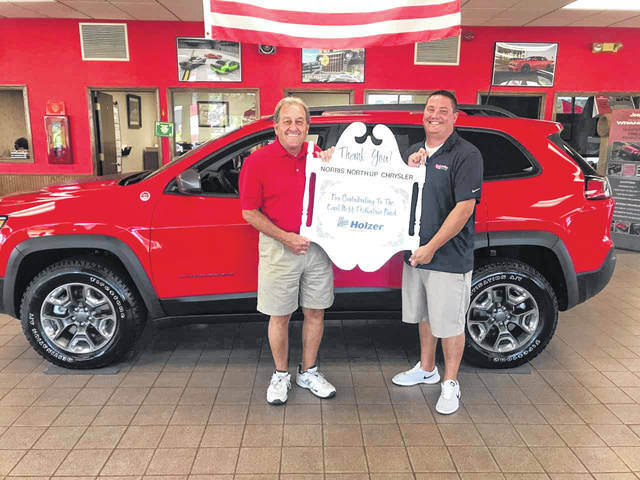 Norris Northup Dodge-Chrysler-Jeep, represented by Mike Northup and Jason Northup. 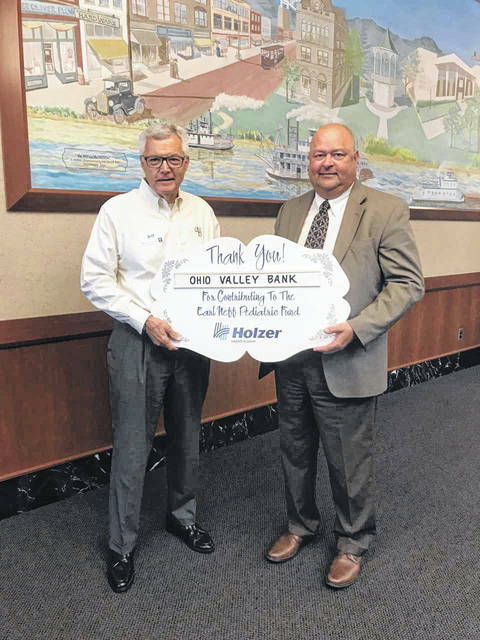 Ohio Valley Bank, represented by Jeff Smith and Tom Wiseman. The Earl Neff Pediatric Fund at Holzer Health System continues to be supported by area businesses and organizations. The Pediatric Fund, in existence for over 45 years, has supplied needed toys, equipment and entertainment to the thousands of pediatric patients who have received care on Holzer Gallipolis Pediatric Unit. July sponsors included: Ohio Valley Bank, represented in the photo by Jeff Smith and Tom Wiseman, and Norris Northup Dodge-Chrysler-Jeep, represented by Mike Northup and Jason Northup. 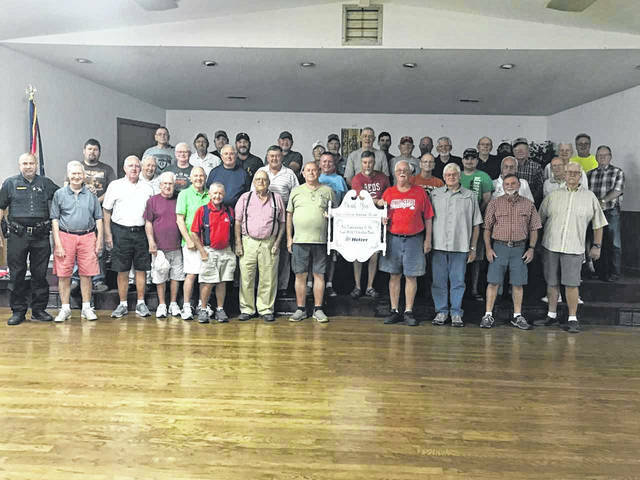 August sponsors are: Kyger Dental Associates, Inc., represented in the photo by Heather Angel, and Gallipolis Shrine Club shown pictured is (L to R) First Row – Randall Johnson, Homer Hankins, Gordon Golji, Robert Lucas, Guy Guinther, Clarence Tucker, Rex Shenefield, Clarence Hill, Rod Fulks, Dan Henderson, Steve Salisbury, Lynn Alban; Second Row – John Sturgeon, Scott Lucas, Mike Blain, Tom Nunnery, Larry Betz, Doyle Saunders, Terry Lucas, Jerry Scott, Bryan Colwell, Lonnie Boggs, Gordon Roth; Third Row – Dwayne Beaver, Charles Easter, Chuck Easter, Lee Harris, Bob Rothgeb, Tim Shato, Jay Caldwell, Lee McCarty, Don Mink, Glenn Ward; Fourth Row – Rick Clifton, Kevin Nicholas, John Cremeans, David Thaler, Bob Ritterbeck.